Apple’s T2 chip may be causing issues for owners of Mac devices that have the co-processing chip. According to a variety of reports across the Apple Support Forums and the wider blogosphere, users are experiencing kernel panic incidents — essentially the Mac equivalent of the “Blue Screen of Death” — on their iMac Pro and 2018 MacBook Pro devices (Mac computers with a T2 chip installed). Many user crash reports mention issues with bridgeOS, the firmware on the logic board that controls a variety of functions on Mac computers — including the T2 chip. Reports of kernel panics first surfaced up near the end of 2017, shortly after the iMac Pro shipped out to customers. 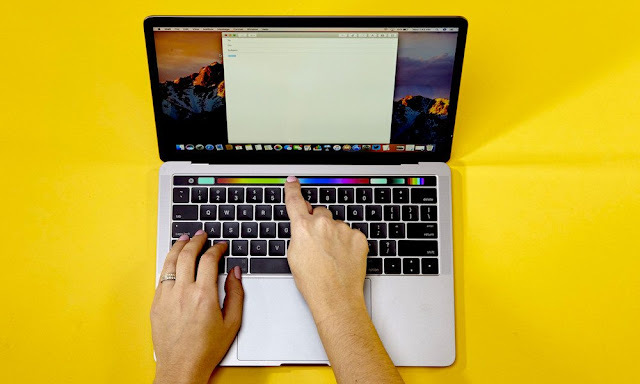 Since the release of the 2018 MacBook Pro, users have been sharing similar incidents about their new devices. Because of the impacted models and the mention of bridgeOS, users are speculating that Apple’s T2 coprocessor may be involved in the problem. Both the iMac Pro and new MacBook Pro models are equipped with the T-series chip. Apple’s T2 chip is a coprocessor that integrates and controls a variety of once-separate components and functionality. It handles system management, image signal processing, and audio and SSD controllers. It also sports a Secure Enclave for security-related functions, like Touch ID and Secure Boot. Because of the wide range of features it controls, users have reported a similarly wide range of triggers for kernel panics. That includes putting a Mac to sleep, daisy-chaining accessories, using Thunderbolt 2 adapters, enabling Power Nap, or using Secure Boot. According to DigitalTrends, Apple is replacing impacted machines when brought in for service. But owners of replacement Macs report that their new computers experience similar kernel panic issues. Apple representatives have suggested a range of potential mitigations, including deleting and reinstalling macOS, turning off Power Nap or disabling FileVault. But, as of the writing of this article, there doesn’t seem to be a permanent and reliable fix. One thing that does appear to help, according to VentureBeat, is disabling T2 chip functionality entirely. As a final piece of advice, Apple is recommending that users update their MacBook Pro devices to the macOS High Sierra Supplemental Update that was released earlier this week. That update, of course, only applies to 2018 MacBook Pro models, so there isn’t an option for iMac Pro owners. Similarly, at least one user reported that the update didn’t fix the problem entirely. DigitalTrends reports that the latest software updates only address hardware-based kernel panic. While Apple indicated that this isn’t a widespread issue, it said it has teams looking into the root cause of the problem. Presumably, when Apple discovers what’s wrong with the T2 chip or Mac computers, it’ll release a fix in a future macOS software update.